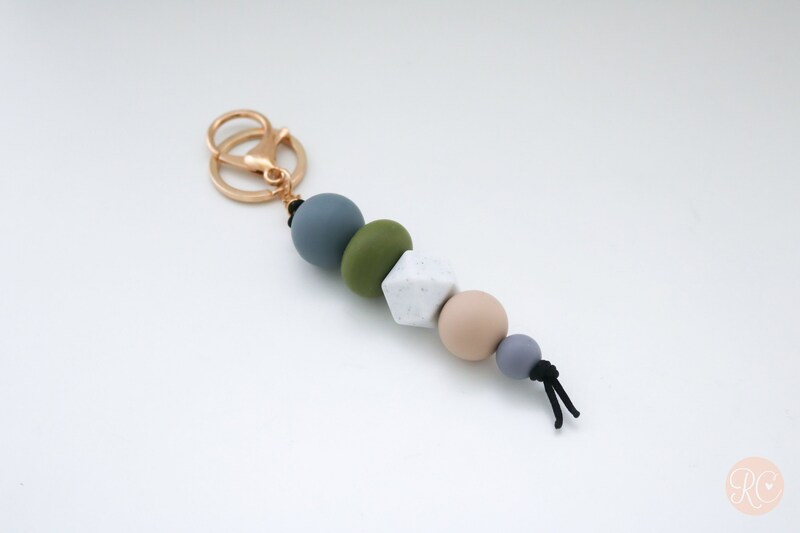 PRE ORDER - will send after April 28th - Khaki & Grey Beaded Silicone Sensory Keychain or Zip Pull. The Keying measures 15.5cm give or take a few mm for the thread length. The beads vary from 14mm at the smallest and 23mm at the largest. Love my key chain! It shipped quickly.